You, our valued donor-partners, are saving wild snow leopards through your gifts to the Snow Leopard Conservancy. Thank you! Our cost-effective use of your donor dollars, combined with our hands-on, community-based approach, has resulted in the solid conservation gains outlined in our 2015 Annual Report. Below are some recent examples of how your partnership enables the Conservancy to continue leading the way in community-based conservation action to save snow leopards. 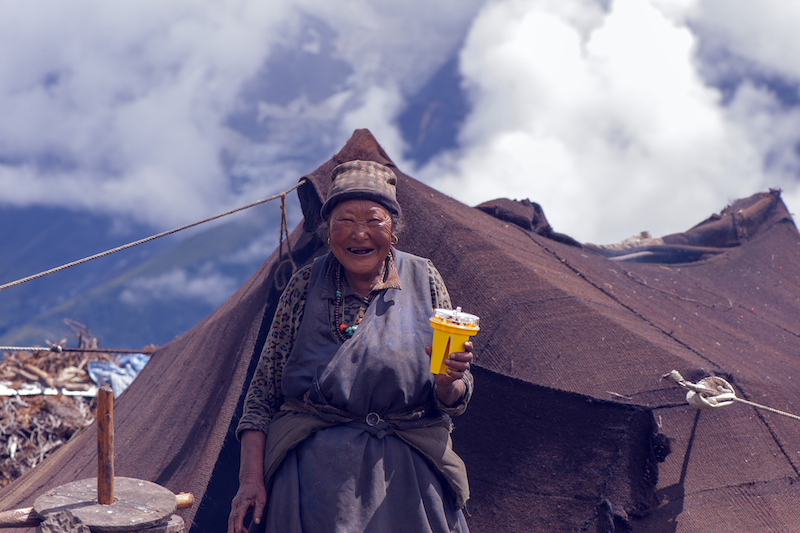 In Nepal, our partners at GPN are working with Himalayan communities to employ Foxlights in deterring snow leopards from livestock depredation. While the lights are proving effective, studies must be conducted to determine how best to keep the cats from becoming habituated to them. 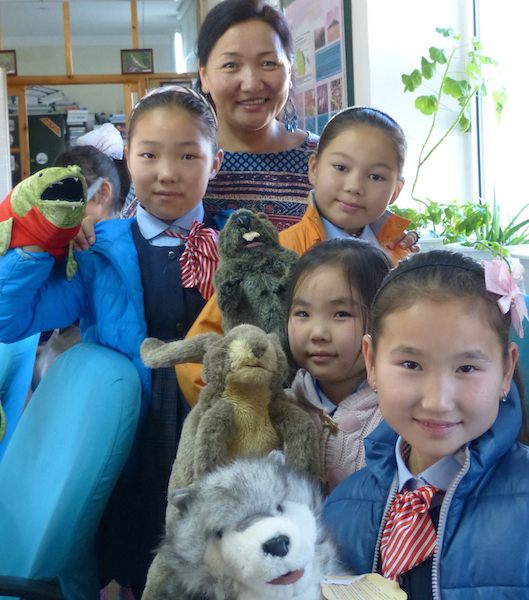 In Mongolia, Tunga Khuukhenduu is training teachers and park staff to use the environmental education materials in “Nomadic Nature Trunks.” These traveling trunks reach children in the remote South Gobi and Altai Mountains where snow leopards roam. Demand is high for additional trunks. 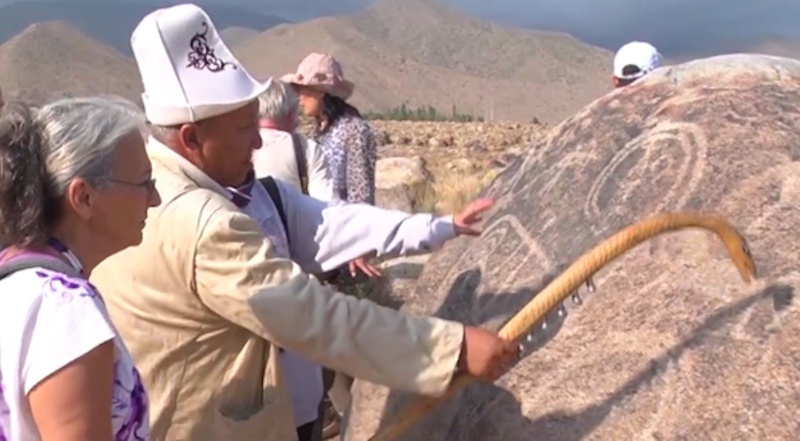 In Central Asia, a network of Sacred Site Guardians, Shamans, and other Indigenous Cultural Practitioners (ICPs) are participating in a groundbreaking project, Land of the Snow Leopard. ICPs are collecting data using a customized application developed by the network for smart phones and tablets. 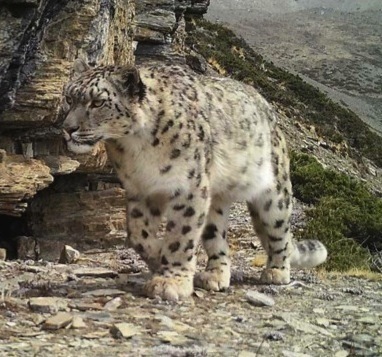 Data collected has both cultural value, such as the importance of snow leopard images in a petroglyph, as well as scientific value, such as a snow leopard sighting or poaching incident that will inform the Global Snow Leopard Ecosystem Protection Plan.